Young ladies pledging to God and Princess Court were on Saturday, April 6, urged by Mrs. Patricia Minnis, to use a new hashtag, #purity. 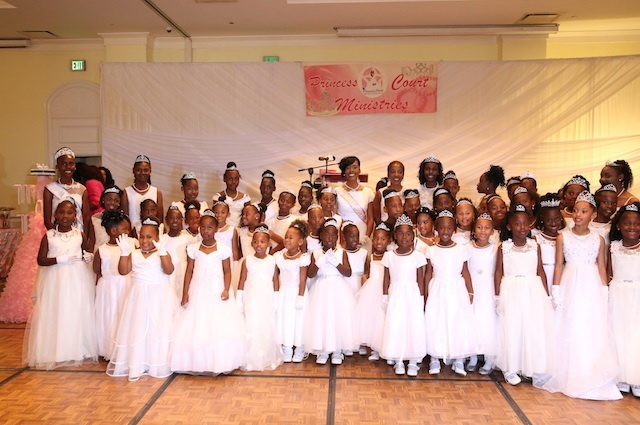 Princess Court Ministries has been in existence for the past 12 years, nurturing and guiding young ladies, ages five through 18, in a programme of six weeks. Negatives influences, Mrs. Minnis added, may be found while in school, in neighborhoods and the wider community, but she encouraged them to be mindful of what they have learned over the past six weeks and stay true to their beliefs. As a former teacher, she warned the young ladies that sexually active girls, because of the emotional rollercoaster they were on, were less likely to excel in school or complete homework assignments. 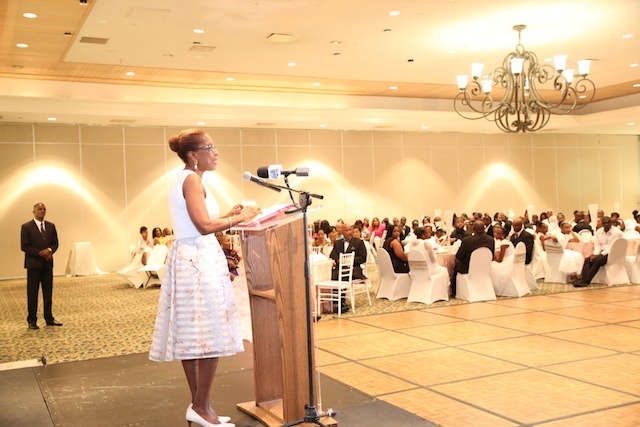 Referring to her early relationship with Prime Minister Minnis, Mrs. Minnis quoted him as saying, “girls and books don’t mix” and as a result, he went on to become a successful doctor and then Prime Minister, while she became a successful teacher.